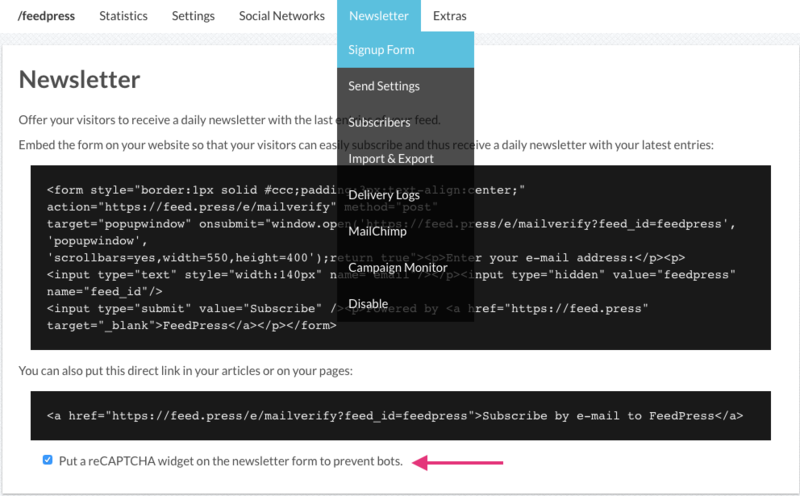 On your feed dashboard, first go to Newsletter > Signup Form and copy the snippet of HTML code we provide. The form contains some inline CSS styling, so if you're comfortable that, you can style the form to your heart's desire. In the above screenshot, note I have the reCAPTCHA preference enabled. I recommend that you enable reCAPTCHA to mitigate robot spam signups. Once you have copied your form code, you will need to add it to your website. You no doubt want to maximize the number of subscribers you can get, so ensuring its visibility is key. In this example, my signup form shows up at the bottom of every webpage, so I added it to the footer code. If you're using WordPress, you can use the code editor to easily add the code, no FTP editor needed. Here's a quick preview of what the signup form looks like on my website. As the aforementioned note states about the inline styling, feel free to whip up your own design to best match your website's design. To test your form, enter your own email address and click the subscribe button to submit. 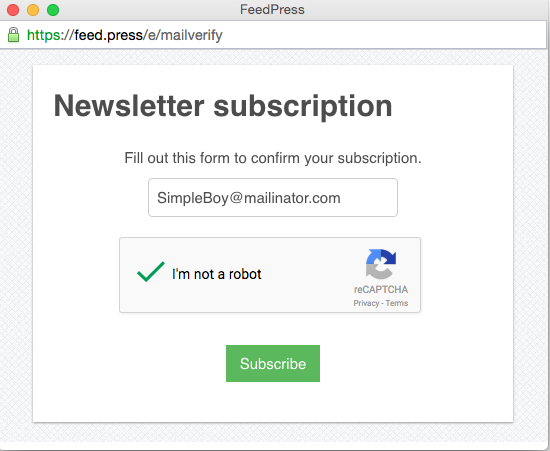 A pop-up window will open, taking you to our signup form, which will ask the recipient to confirm they're human (if you're using reCAPTCHA). You can check your subscriber list by going to Newsletter > Subscribers. You'll notice that we automatically pre-fill certain settings for you, such as the email subject line and confirmation message. You can customize these settings and more, including using your own email address as the sender and the HTML/TWIG template! 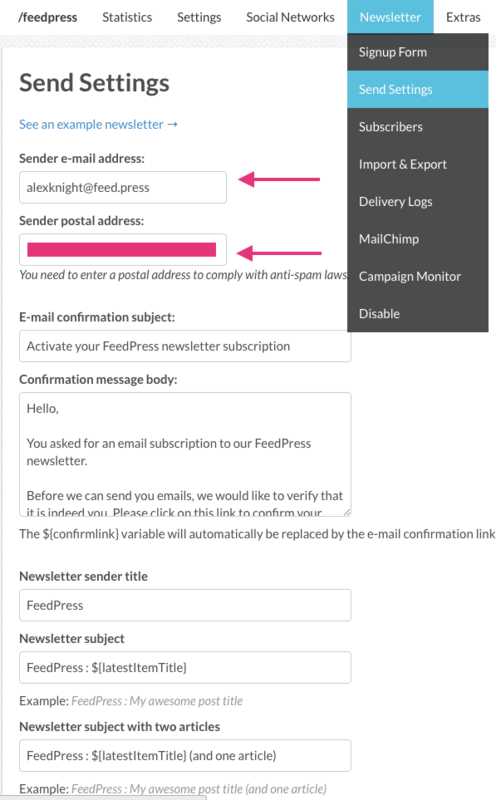 Go to Newsletter > Send Settings to begin customization. To stay informed of when you receive new subscribers, enable the notification preference on your subscriber page, as per the screenshot below. When starting out, this can be useful, but be cautious if you're a high traffic website, as this will send you lots of emails. FeedPress supports importing and exporting subscribers. 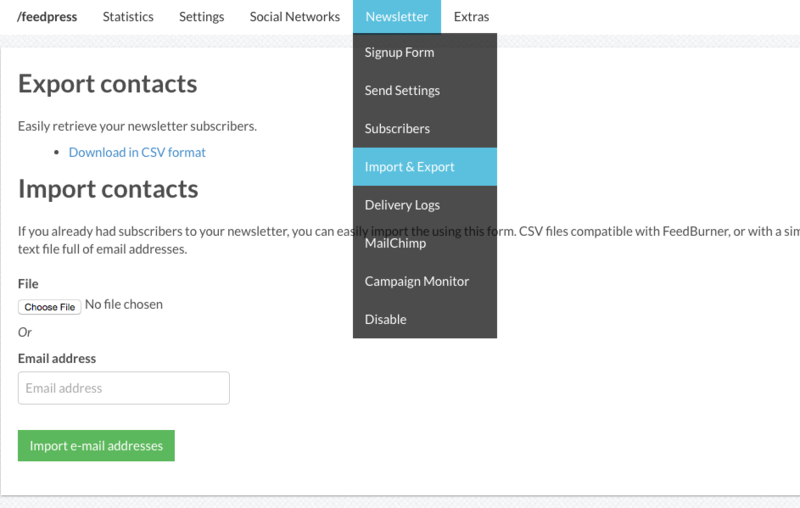 With an existing CSV file, you can import a mailing list and they will be automatically confirmed. We assume the list you have is already an opt-in list, so make sure you have one. We also support resending confirmation requests, for example: complying with recent Canadian anti spam laws. 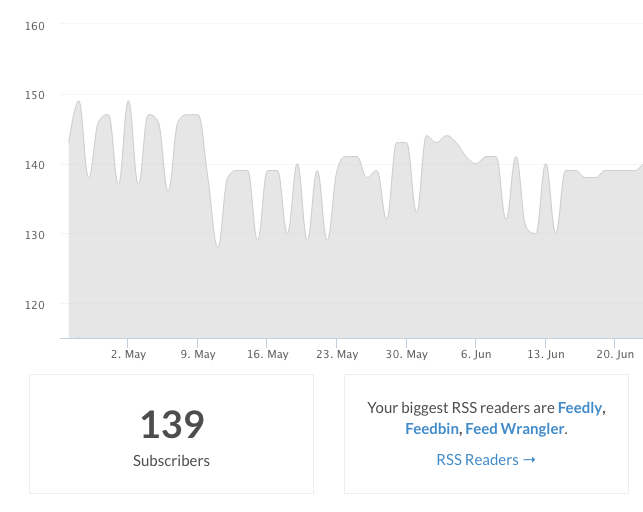 Your analytics dashboard will always display both total number of RSS as well as newsletter subscribers. In the event that you only have newsletter subscribers, you will see your dashboard will look slightly different (we use colours on the graph to differentiate between RSS and newsletter subscribers). 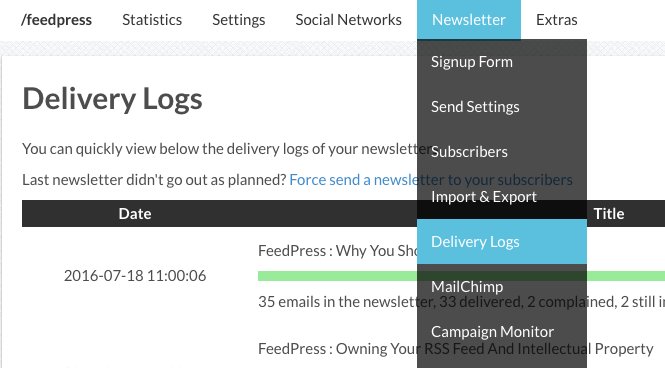 You can monitor the status of your outbound emails by going to Newsletter > Delivery Logs. Note you will need to refresh this page to see the updates.